We should remember that illegal does not mean immoral, or wrong-headed. Like the right to bargain collectively, the right to strike and the right to strike together to press common demands are basic forms of democracy; they are rights that everyone has, as even our government has recognized at the international level. Rolling back laws that turn rights into crimes should be on our agenda, whether those laws are from 2011 or 1947. 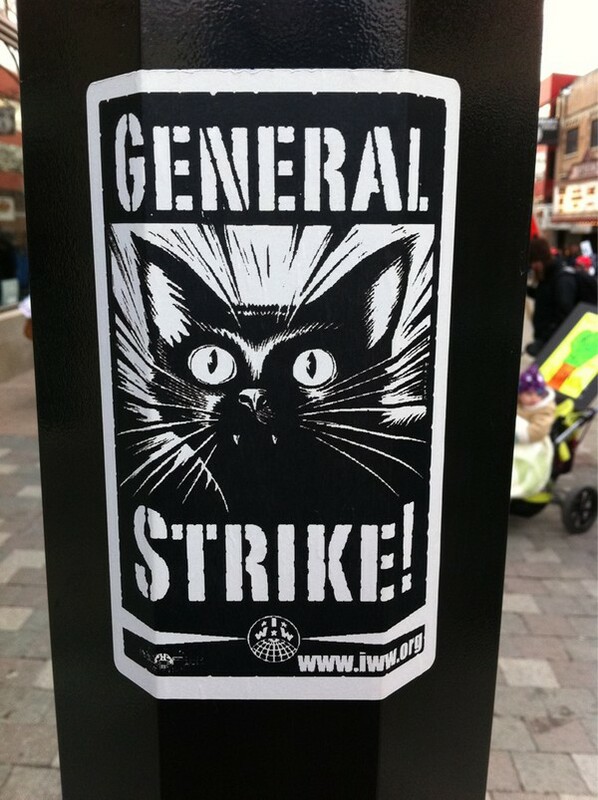 Why should those types of strike be legal when the corresponding behavior by management would be an antitrust violation? Solidarity strikes, secondary picketing, general strikes, and the like are an attempt by a union to monopolize the labor market through demands unrelated to the dispute at hand, and are hardly different from, say, a cartel of oil companies deciding to refuse to sell fuel to businesses who support environmental regulation (a political strike analog) or a cartel of shipping companies refusing to hire members of a union that has expressed sympathy with a striking union in an unrelated industry (a secondary strike). The “freedom” you seek here is one that’s always been denied to business; why should labor get to play by different rules?